Spotlight on Mercedes rising F1 star Esteban Ocon: Has he kicked on this year? In music they call it the difficult second album. In music they call it the difficult second album. 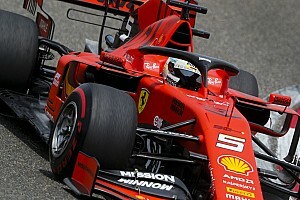 In F1 a driver who enjoyed a stellar debut season, can sometimes struggle to kick on in the second season and progress. Such appears to be the case this year so far with Mercedes protege Esteban Ocon. "I think it is one of the most important year of my careers," Ocon told Motorsport.com at the start of the year. "After learning a lot last year, everybody is waiting for me to confirm this year, which is quite normal. It's what my bosses are looking at. "My career's managed by Mercedes so my bosses set me some targets for this year and I have to respect them. "I feel like if I do a strong job here there will always be plenty of opportunities, but at the moment I'm fully focused on Force India and that's the important thing." First the good news; Ocon leads his Force India team mate Sergio Perez 3-2 in the qualifying match-up this season, having lost 13-7 in 2017. This matches the ratio in the final five Grands Prix of 2017. But the bad news is that this isn't matched by points scoring. He has suffered two consecutive retirements in Baku and Spain, double his total for 2017. 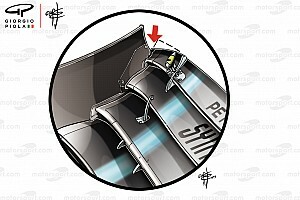 And Perez had a podium in Baku among his two points scoring results this season, the other being a ninth place Spain. Ocon has only scored a single point, in Bahrain. Ocon was leading Perez in the opening corners of the Baku race, but his Azerbaijan Grand Prix ended with a collision with Ferrari's Kimi Raikkonen. “It’s disappointing not to finish the race on a day in which we had such good pace," Ocon said after Baku. 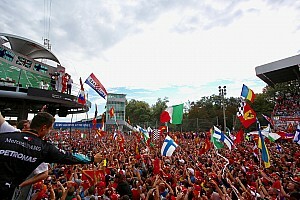 "I had a flying start and I managed to pass Kimi [Raikkonen]. I was ahead of him all the way to turn two and when we went into the corner. I was behind [Daniel] Ricciardo but Kimi made a lunge and put me in the barriers. "I feel it was my corner and I was on the racing line, but he locked up and hit me. I feel the mistake was on his side." Points have been harder to find for Force India this season, after a wonderfully consistent 2017 season. Ocon ended the 2017 season with a pair of six places and a fifth among his final five results, Perez picked up three seventh places. 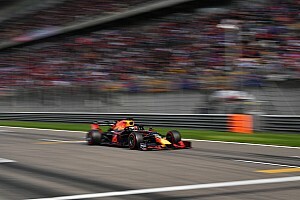 It's clear that McLaren, Renault and Haas have all made progress this season, which has allowed all of them to score at least one fifth place in the opening races and which has pushed Force India down, with Perez' podium in a chaotic Baku race the outlier result. This weekend the F1 teams head to Monaco, where Perez scored a podium in 2016, one of his eight F1 podiums to date. 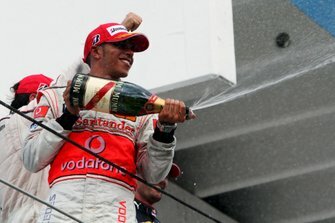 last year he qualified a disappointing 15th in Monaco, eight places behind Perez.